This high-performance American-built twinjet is the most popular passenger plane in the world. The multiple configurations of the Boeing 737-200 offer you maximum flexibility, allowing to carry up to 120 passengers and up to 30500 pounds of cargo. The 737-200 is one of the few jets able to take off from and land on gravel airstrips. The interior of our aircraft has been completely refurbished. The high cruising speed, long range and unmatched versatility of the Boeing 737-200 make it an aircraft of choice for our clients. 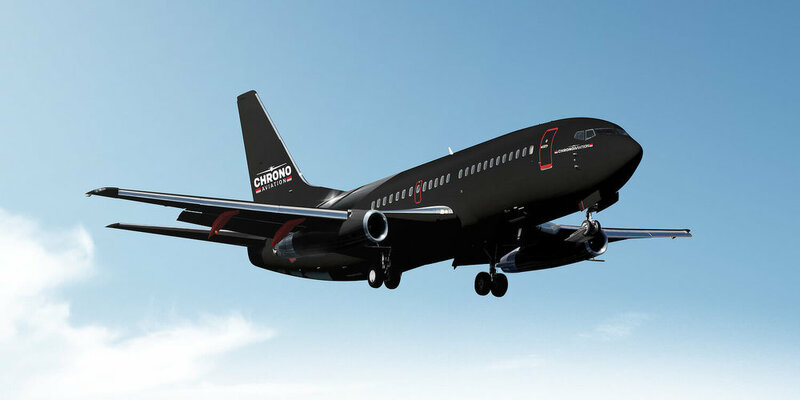 This aircraft is operated by Chrono Jet, member of the Chrono Aviation Group.